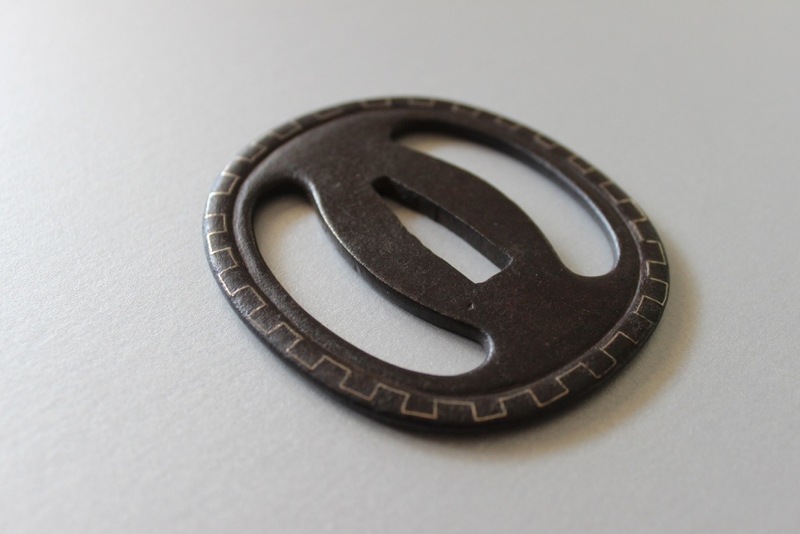 Iron tsuba with design of sea cucumbers and raimon (thunder pattern) in silver inlay. Excellent condition. Mumei. Late Edo period. Attributed to Higo Nakane. Nakane Heihachiro (1806-1870) was a famous tsubako from Higo province and was a retainer of the Hosokawa daimyo. 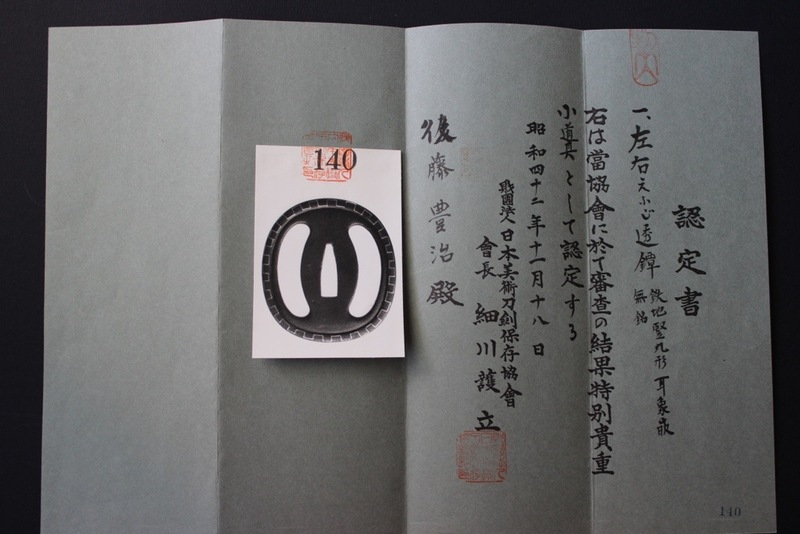 He typically used large sukashi carving on the left and right and raimon zogan around the rim. Many of his works can be found on fine Higo koshirae. According to Nihonto Koza (translated by Harry Afu Watson) Nakane was originally a samurai and was made a noble by the Hosokawa Clan. He was skilled in the ways of Higo koshirae and his reputation was second only to Kamiyoshi Rakuju. 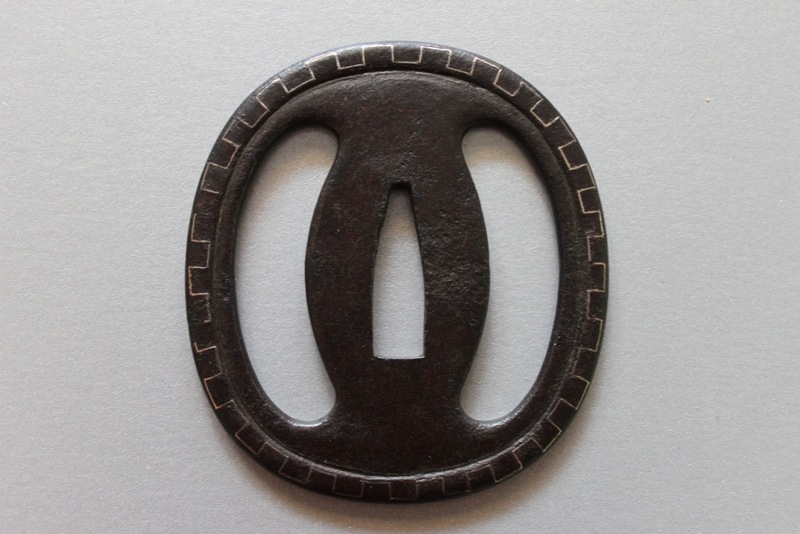 Nakane mostly copied Shoami and made sukashi tsuba in the so-called Nobunaga Koshirae used on swords belonging to senior samurai who served the Shogun. It is regrettable that he mostly copied existing designs during his career and didn’t use more creativity to go his own way and leave his mark on the history of tosogu. Although the NBTHK believed this to be the work of Higo Nakane others have suggested it could equally be Nishigaki school (3rd, 4th or 5th generation) or even Jingo (5th generation). 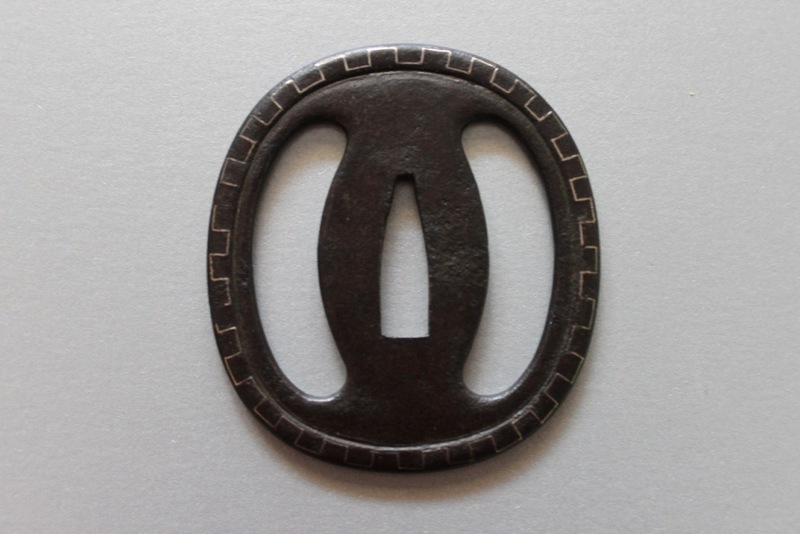 Robert Haynes said the following in December 2013 “Yes, the tsuba is by Nakane Heihachiro (Higo). A very nice example of his work”.